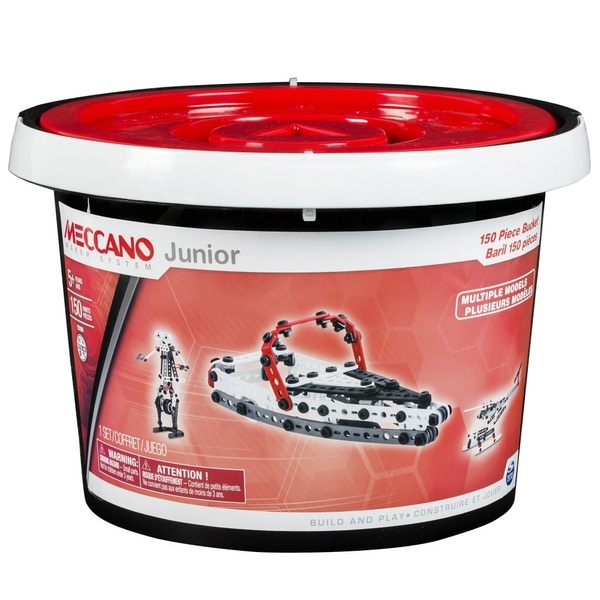 Let the youngest builders have fun discovering elements of real engineering with the Meccano Junior 150 Pieces Bucket! They can use the pieces to assemble 10 different models, including a truck, a motorcycle, a speedboat, a robot and a helicopter, and anything else they can imagine. The Meccano 150 Piece Bucket inspires and empowers children to turn their creative visions into their own engineering masterpieces. The future is yours to build with Meccano!